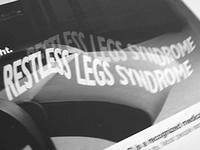 Restless leg syndrome (RLS) is a sensory disorder that causes an irresistible urge to move your legs and arms. People that has never suffered from this disorder can't possibly understand how awful it is to go through sleepless nights of walking and trying to shake this weird feeling off. Grandma has discovered a bizarre home remedy that's so simple and easy to use that it's hard for me to understand why more people don't know about it, and once they do, why wouldn't they give it a try? The best news of all is that people that have tried it swears it works! This home remedy even works for people that suffer from nightly leg cramps. Nobody can explain why it works, but it does. Irresistible urge to move legs or arms when sitting or laying down. Symptoms of RLS are usually described in different ways, especially with children. Many parents mistake RLS for growing pains in children. The bottom line is Restless Leg Syndrome can drive you up a wall, especially when trying to rest. Studies show that family members usually show signs of symptoms from RLS. Symptoms will get worse over time if a person goes on over a long period of time without Restless Leg Syndrome treatment. OK, this sound really bizarre but I have read testimones from people that have tried this Restless Leg Syndrome Treatment and swear it works. Yet, there are others that have tried it and got no relief at all. But I do think if you haven't tried it yet it's well worth a try. 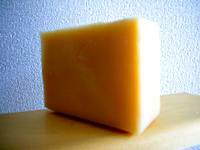 Take a bar of plain soap, nothing with deodorant or antibacterial in it. Put the bar of soap between your mattress pad and bottom sheet. Then sleep with the soap there for a couple of nights. Nobody can explain why this works. It's a strange treatment and it sounds like nonsense. Some people won't even try it thinking that they are being made a fool out of, but those that have tried this and it worked are amazed at how simple it was to get a good nights sleep while being free of symptoms. Even though RLS and leg cramps are all together different I thought I'd try an experiment. Grandpa was having a problem with leg cramps night after night so I put a bar of Ivory soap between the mattress and fitted sheet without mentioning a word to him. It worked! He hasn't been jumping out of bed at night on one leg trying to get rid of his charly-horse and he didn't even notice until one day I asked him to grab the sheets off the bed so I could wash them. The look on his face was priceless when he came to me saying, "there was a bar of soap between the sheet and mattress, how on earth did that get there?" Once I explained the home remedy to him he said I was being foolish and that couldn't have relieved his leg cramps. So the leg cramps came back within two nights. Now I keep the Ivory soap there all the time and guess what, no more leg cramps. Shhh, don't tell Grandpa, he can be a stubborn old goat, it just isn't worth my time debating about it. Since I don't know anybody personally that suffers from RLS I was still impressed with the results from Grandpa. For heavens sake, try it! Whose going to know you slipped a bar of soap between your mattress pad and sheet? Unless, of course, you tell them. You can always use that bar of soap to bath with if you grow impatient with this home remedy. Of course, once you try it and it works I'm sure you'll be telling everybody to try it. Imagine a good nights sleep with no weird feeling running through your restless legs. 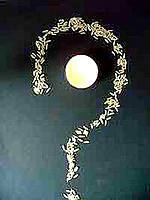 Sleepless nights will cause stress and that will only lead to more stress and disease. This Restless Leg Syndrome Home Remedy costs practically nothing and it's so easy to use. What do you have to lose?